The use of machine learning or artificial intelligence in robotics is becoming increasingly important. A University in New York has recently taken a huge step on this road, by giving a robot a primitive sense of self awareness. Humans are able to imagine themselves doing a task, they are able to remember how they have done it in the past and can recall occasions when it went wrong. By giving the robot an internal image of itself, it can learn in the same way, offering new levels of resilience and adaptability. 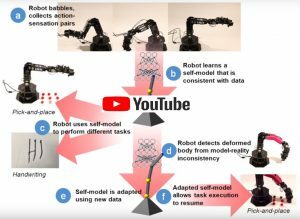 “If we want robots to become independent, to adapt quickly to scenarios unforeseen by their creators, then it’s essential that they learn to simulate themselves.” says Hod Lipson, Columbia University’s Professor of Mechanical Engineering. The robot is able to teach itself to handle objects without vision, adapting to changing circumstances. In one experiment the team simulated an injury, by changing a robot limb for one with a different geometry, giving a different position to the end of arm tool. The robot soon learnt how cope with its changed circumstances to achieve the goals to 100% accuracy. 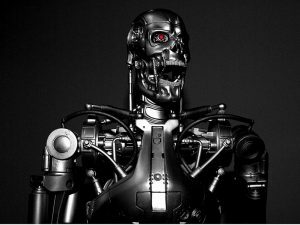 The ethical debate about the march of Artificial Intelligence can sometimes be pretty lively. Artificial Intelligence has already proven itself in many ways, successfully used by big business such as Facebook or Amazon, such organisations as Google Deepmind and Boston Dynamics are bringing real world benefits to robotics. However, as yet, there seems to be no evidence that AI can achieve anything without a great deal of hand holding from humans. 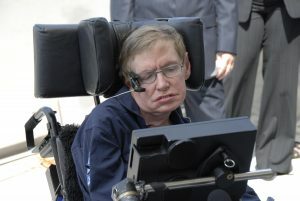 This step on the road to robot self-awareness undoubtedly brings us closer to potential dystopian futures, predicted in movies such as “2001: A Space Odyssey” or Skynet’s Judgement Day in “The Terminator”, and warnings by such eminent thought leaders as Professor Stephen Hawking should always be born in mind. The Columbia University research gives the robot its body image and allows it to learn how to use the information to achieve its goals. Luckily for us, it’s still humans setting those goals. We can debate what true self-awareness means but with no signs yet of AI learning to change the agenda, no emergence of self-determination, we seem safe for a good while yet. Production businesses that make use of the technology will quickly gain a competitive advantage, so with Darwinian certainty, the exponential progress of this field is inevitable. Active8 Robots uses Machine Learning algorithms in agile robotic solutions for customers who are benefiting from these advances, but doesn’t expect to be integrating self-aware robots for some time.